Ufone 3G Internet Settings. For manual GPRS configurations in your handset, follow the steps below. Go to the “Settings” on your phone. You will see the “Menu” button here. Press it to enter the menu. Now, tap “New APN” box and edit here the following information. Do not fill other fields. Leave them blank. Now tap “Menu” button and select “Save” option to save the new parameters. Now you need to change the MMS settings in your handset according to Ufone parameters. Go to the “Settings” on your mobile and select “Mobile Networks” or “Wireless and Networks” category from here. You need to tap “Access Point Names” option here. Tap the “Menu” button to move ahead. Here, select “New APN” and add the parameters given below. Leave all of the remaining fields blank. Tap the “Menu” option and select “Save” to save the recently added parameters. Now your mobile phone is 3G/4G enabled. Enjoy the faster browsing on it. If you are not easy with the manual configurations, you can get these settings by using the SMS service on Ufone. Just go to the “Messages” app and type the model number of your handset. Now send it to 222 and wait for a while until you receive the settings from Ufone. Another alternative of the above-discussed methods is to receive the 3G/4G Internet Settings via phone call. Follow the instructions given below in this context. Now, dial “333” to talk to the Ufone representative. He will help you in updating 3G/4G Internet configurations by asking the handset model number and the make. He will send you the desired settings. You need to save them by using the code provided in the SMS. Once, you have changed the configurations, restart the device and enjoy faster browsing. 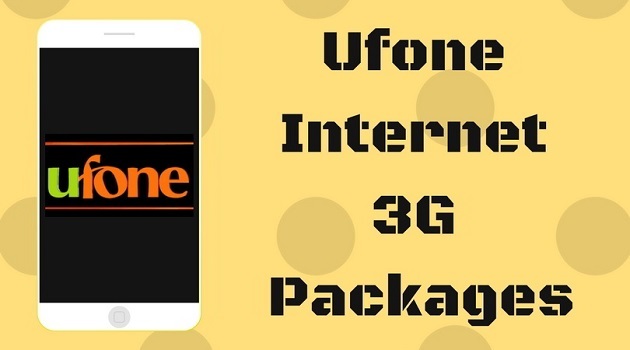 Note: If you change the SIM card from one cell phone to another cell phone, you will automatically receive the internet, GPRS, MMS settings from Ufone on your new cell phone. You do not need to add manual settings now. Just save the settings by using the provided code and restart the device to activate the settings.